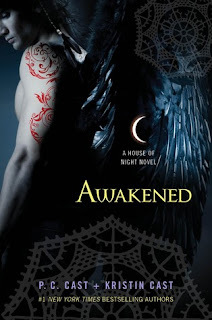 Summary: At the start of Awakened, the pulse-pounding eighth installment of the bestselling House of Night series, Zoey has returned, mostly whole, from the Otherworld to her rightful place as High Priestess at the House of Night. Her friends are just glad to have her back, but after losing her human consort, Heath, will Zoey - or her relationship with her super-hot Warrior, Stark - ever be the same? Stevie Rae is drawn even closer to Rephaim, the Raven Mocker with whom she shares a mysterious and powerful Imprint, but he is a dangerous secret that isolates her from her school, her red fledglings, and even her best friends. When the dark threat of Neferet - who is coming closer and closer to achieving her twisted goal of immortality - and Kalona returns, what will it take to keep the House of Night from being lost forever, and what will one desperate girl do to keep her heart from being irreparably broken? Why I Want It: I've read the first few House Of Nights and really enjoyed them so of course I'm going to read this one. I've heard that a lot of people do not like the cover. I actually do. PC Cast is an amazing writer. I loved her work when she wrote for LUNA Publishing. Great choice! LOVE this cover! This one is definitely on my list. Interesting pick! Your header is just lovely! Makes me hungry for cupcakes!! Now that is a gorgeous cover! I haven't read this series but I like the cover a lot. Thanks for sharing!